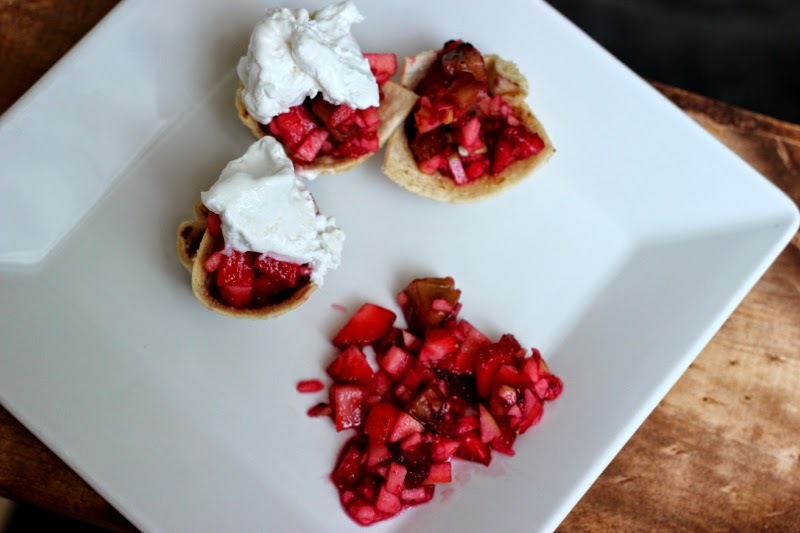 Recipe: Fruit Salsa Cups - Perfect for your cookout this weekend! 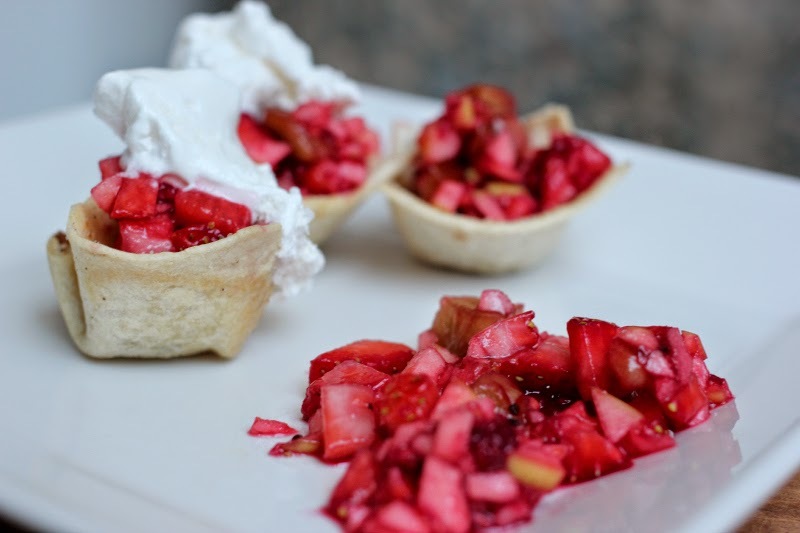 I wasn't going to share another recipe this week since I shared two ingredient banana cookies on Monday, but these fruit salsa cups are just too perfect to not share for this upcoming weekend! I brought these to a BBQ this past weekend and they were a hit, and help up very well in the warmer weather. The longer the salsa sits together in the bowl, the better it tastes! 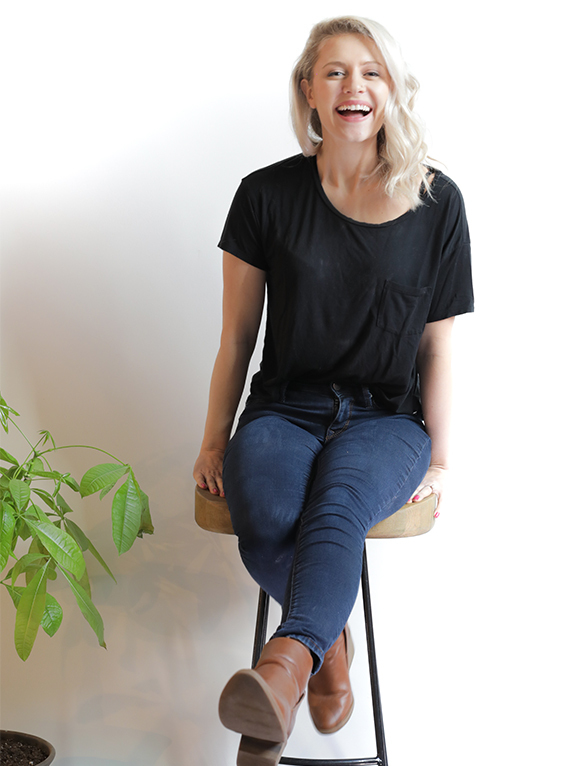 If you need something to bring to a memorial day picnic, this is it! There are two parts to this recipe, the cinnamon chip cups (they end up being about the size of a tortilla chip scoop) and the fruit salsa. Cinnamon Chip Cups: Preheat your oven to 350 F. Working with one tortilla at a time, spray both sides with the cooking spray, cut your tortilla into pieces (as shown in picture). Mix your cinnamon and your sugar together before sprinkling the tortillas with the mixture. 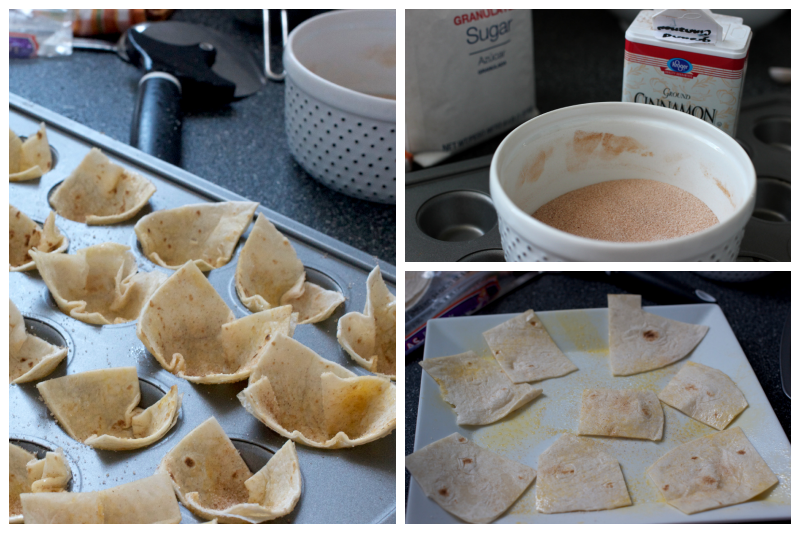 Use a small muffin tin and squish each piece of tortilla into the circular form of the tin. Once the tin is full, bake for 9 minutes. They may still seem squishy, but once removing from the oven, leave them in the tin for a minute to harden before removing. Repeat with all your flour tortillas. 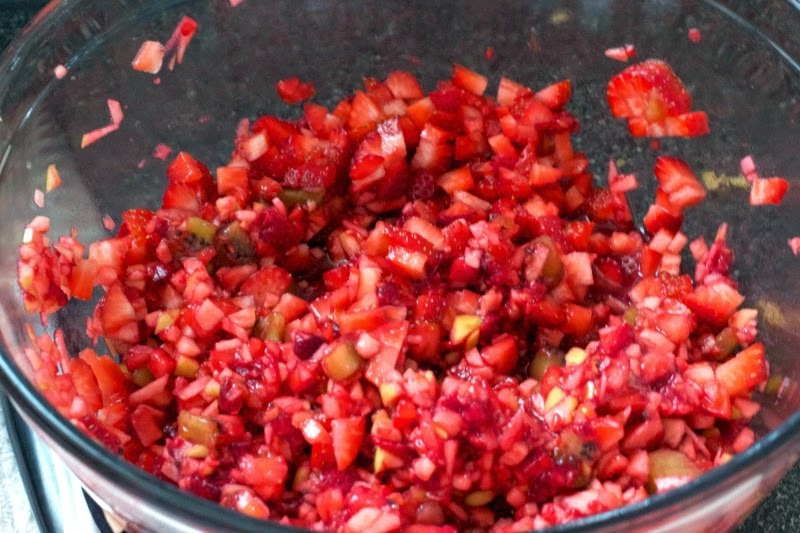 Fruit Salsa: Cut up all of your fruit into tiny pieces and mix together in a large bowl. Add your preserves and mix. 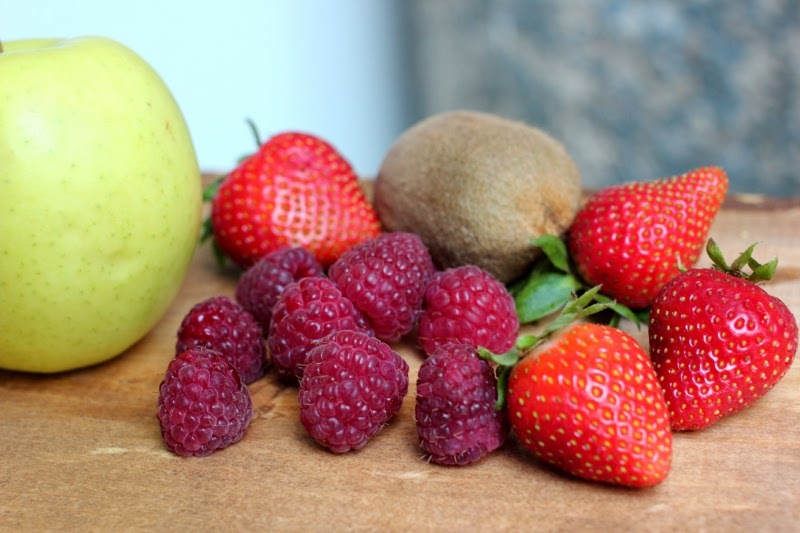 Allow this mixture to sit together at room temperature for 10 minutes before refrigerating. Final Prep: Shortly before you leave the house or serving, scoop a spoonful of salsa into each cup and top with a little dollop of cool whip. Yum! I'll be spending memorial day weekend in Austin so I won't have a chance to make these again, but I hope you all enjoy them as much as I did! Until tomorrow!